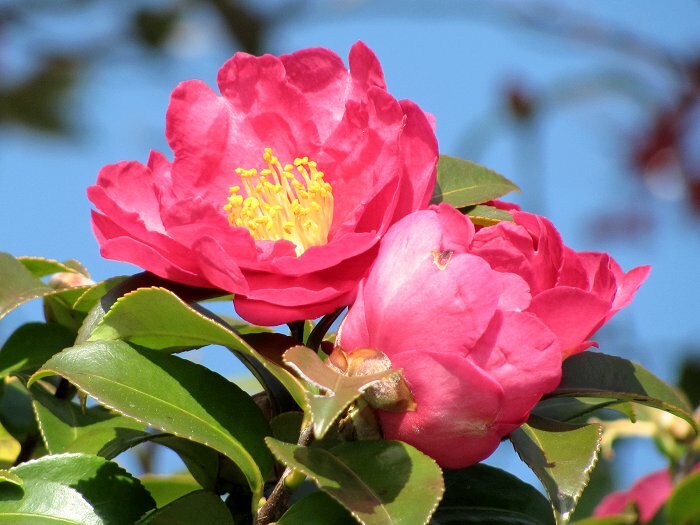 A camellia blossom brightens this December day outside the city of Kochi. We're at a little restaurant called the "Log Cafe Cotton Time" for lunch. It's sunny and warm with an almost tropical feel to the air.